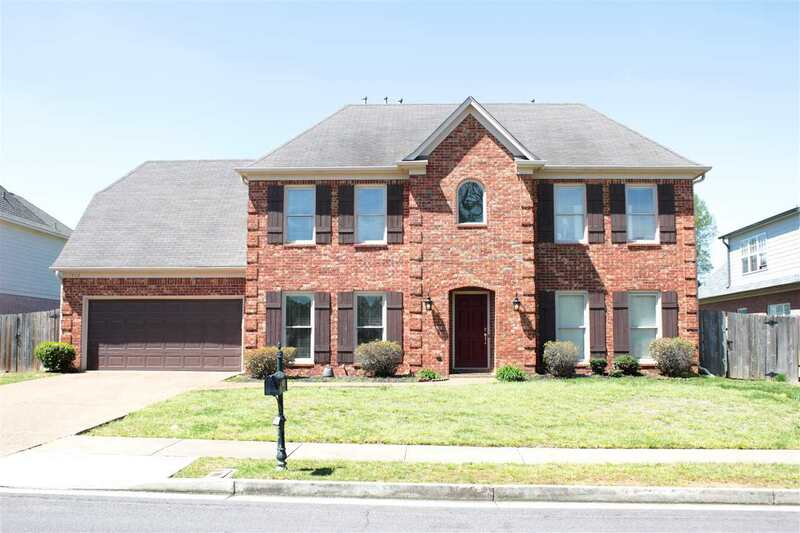 Spacious home in Collierville! This home sits on the Collierville Greenbelt. Offers Formal dining, Great room with gas fireplace, kitchen with breakfast/hearth room combo, master suite on main floor which includes luxury master bath. Upstairs offers 2 full baths with 4 more bedrooms. Freshly painted interior, 2 gas fireplaces, attached 2 car garage, large fenced yard. Walk to Johnson Park!